Help. 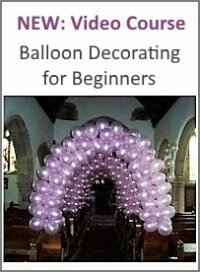 I am a small business supplying helium balloons. I walk past balloon shops and can only wish that my writing on balloons looked liked theirs. How do they get such smoothness with the posca pens? 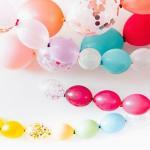 Please have a look at our tips for writing on foil balloons. 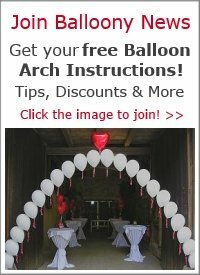 You'll find advice on what pens to use and a link to an article with instructions and photos how to personalize an 18inch mylar balloon. Other than that, I would say it's about practice, practice, practice :-) Buy one of the foil balloons you see in the other shops, sit down and try to copy the writing. I am sure that after a few attempts, you'll be as good as your competitors! P.S. 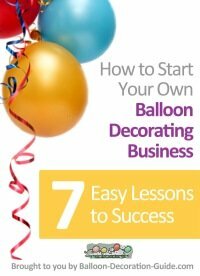 As a small business owner, you might want to take a look at our eCourse "How to Start Your Own Balloon Decorating Business". Perhaps you could expand your existing business?